When widescreen technology was introduced to filmmaking in 1953, it changed the visual framework and aesthetic qualities of cinema forever. Before widescreen, a director's vision for capturing beautiful landscapes or city skylines was limited by what could be included in the boxy confines of an Academy Ratio film frame. The introduction and subsequent evolution of widescreen technology has allowed directors to push the boundaries of filmmaking.Letterboxed: The Evolution of Widescreen Cinema explores the technological changes of the widescreen technique and how the format has inspired directors and also sparked debates among film critics. Examining early filmmakers such as Buster Keaton and D. W. Griffith and genre pioneers like Nicholas Ray and Douglas Sirk, Harper Cossar explains how directors use wider aspect ratios to enhance their creative visions. 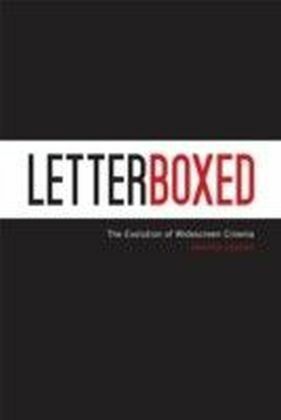 Letterboxed tracks the history of stylistic experimentation with the film frame and demonstrates how the expansion of the screen has uncovered myriad creative possibilities for directors.